And suddenly he has an ear…. – iuoma.org – Interested in Mail-Art? 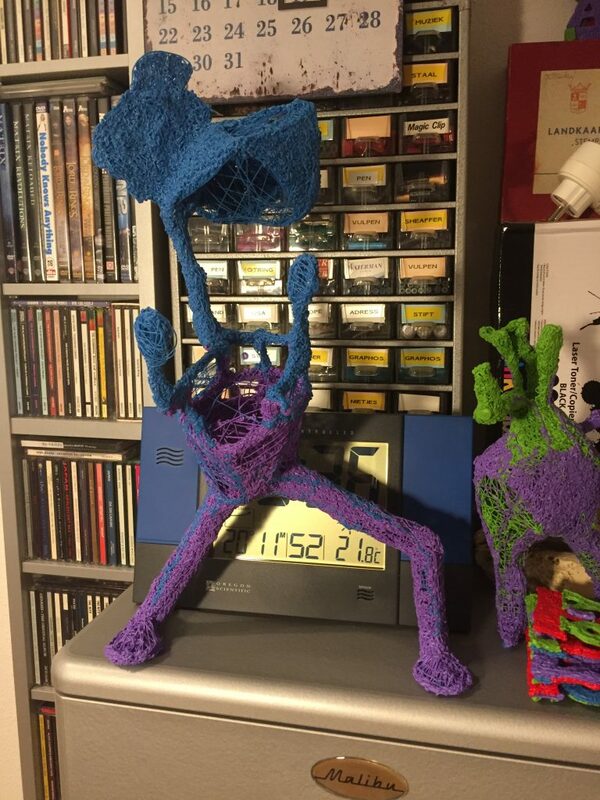 The latest object I made with a 3D pen was tittled ‘Don’t loose your head’. One more addition in finishing this artwork was adding an ear. 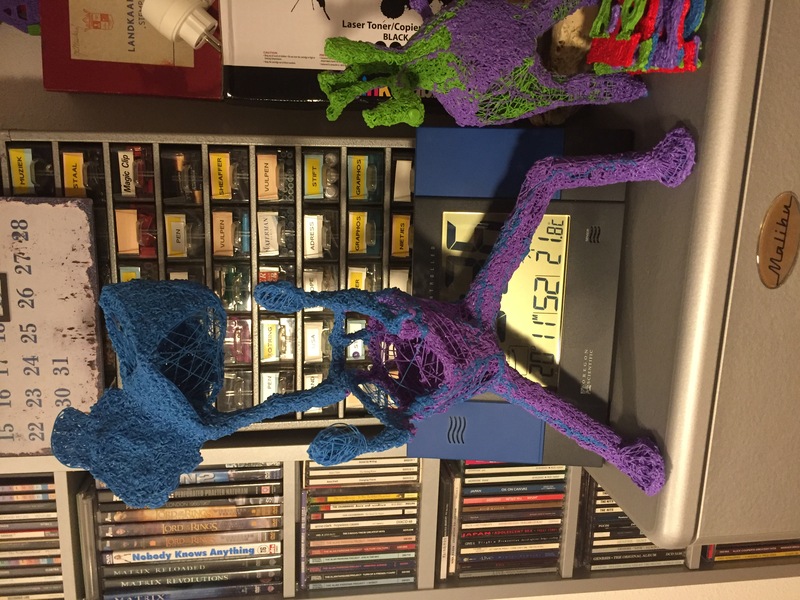 For now it is the largest object I made with a 3d PEN so far. I have put in beside the last one on one photo and I see the ew object is more then 40 cm high. So, an object fit for an exhibition one of these days. Will let you know when that happens. I have discoverd nos a technique that works quite well with this specific 3D pen from Myriwell, and the ABS plastic (filiament) becomes strong enough to form larger objects that can be touched without breaking. So drawing with a 3D pen and making a 3D object with it has become reality. You only need a lot of practice and patience. The object you see here took two days of work, and about 8 hours working time. You can’t concentrate the whole time, so you need a break now and then. But as you see, you can make it work, and the forms are what you want them to be. Beside the larger object you also see the previous one and some of the IUOMA logo’s I created.